Inspiration came after receiving Ruth Schmuff's new mystery class "Broom Parking!" 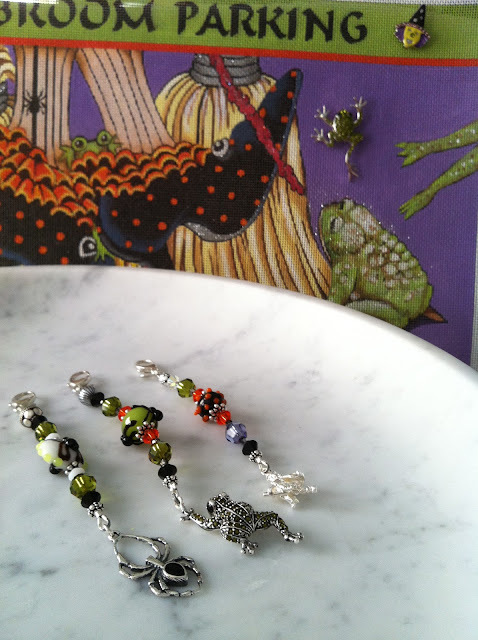 The Jumping Frog - a limited quantity available at Bedecked & Beadazzled. 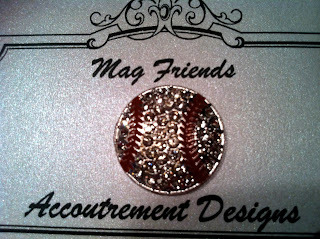 Coordinating Magnets....one is missing!!??? It is creeping in soon. 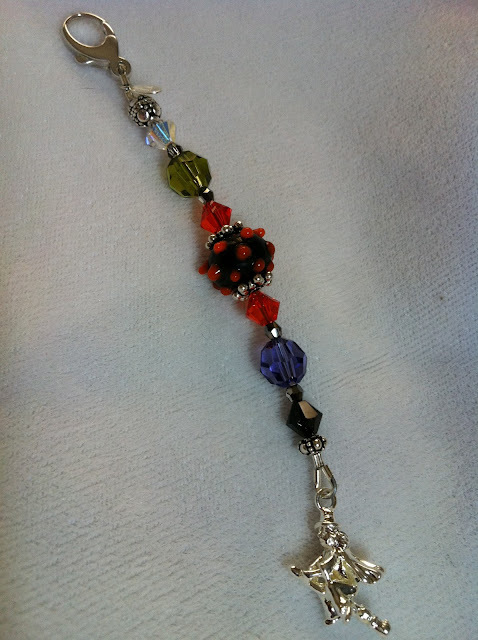 Witch Magnet currently available at your LNS. 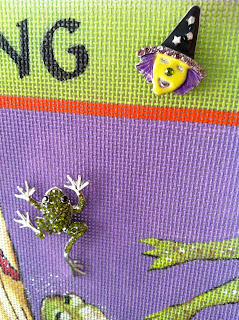 Frog Magnet currently available only with Mystery Class. 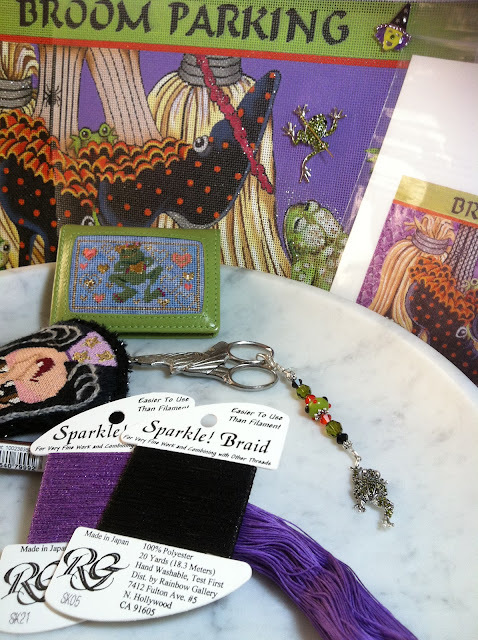 All the accoutrement are gathered for a relaxing day of stitching. 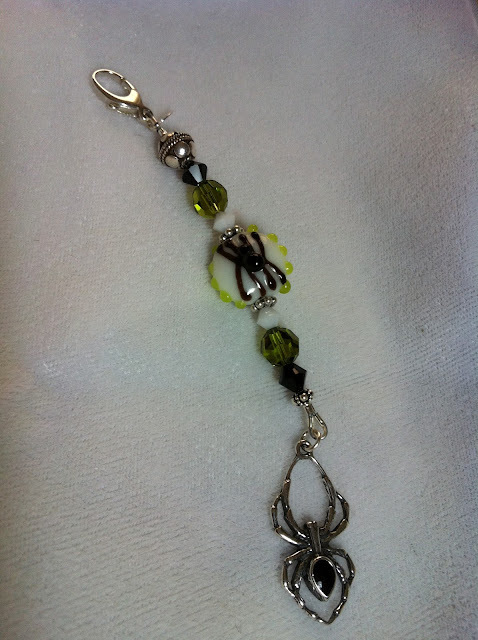 This fob is a little different but available. 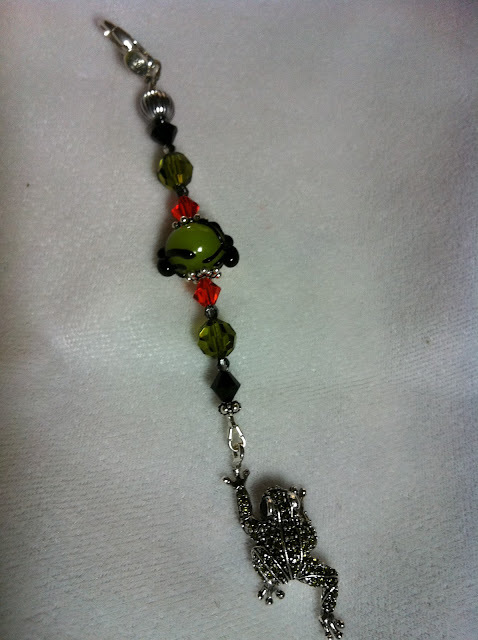 The Frog Ort holder is a Lee leather coin purse. Witch scissor holder a gift from a friend. (Canvas designers unknown) Witch scissors purchased from Nordic Needle several years ago. The Fobs and Magnets available at your LNS or exclusive to Bedecked and Beadazzled. Not in South Florida! Nothing but rain here. The Fall Equinox for us is the mid point of Hurricane season. 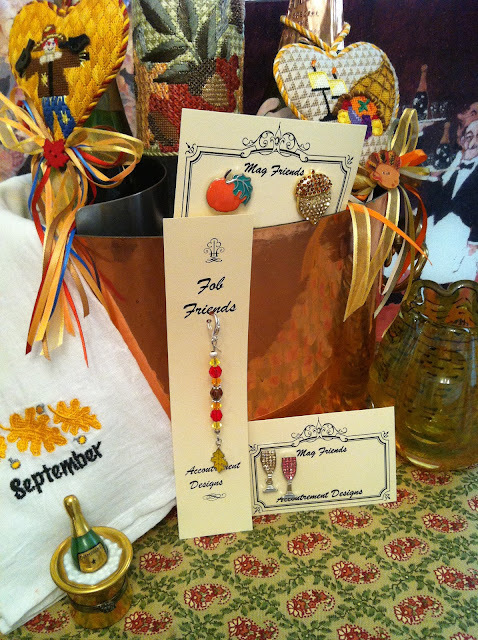 We rely on the gorgeous pictures of the Fall changing leaf colors from the news and blogs while we work on our Fall canvases and use our accoutrement to get that Fall feeling. 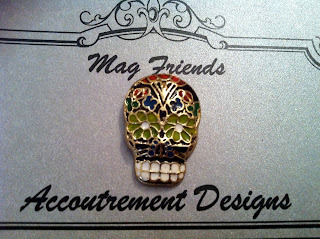 This Fall Fob and these Magnets go well with the season and many canvases. It is also Harvest Season - "Charge of the Bottle Brigade" - champagne! Halloween is next. Stay tuned to see what will else is creeping in. 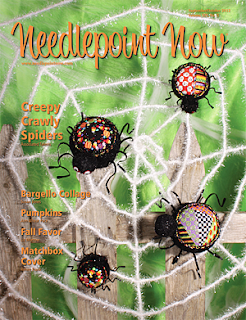 As seen in the current issue of Needlepoint Now! 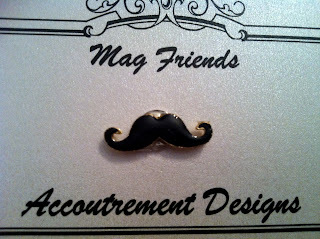 Accoutrement Designs is in the current issue! Immediately when you open the magazine you see Fob Friends. Then there is a lovely article about Fob Friends and Mag Friends on page 49. If you have not read this bimonthly magazine before, it is wonderful! It has lots of helpful tips and tricks, fabulous articles, numerous stitches, projects and great color pictures. Many of us are excited to get our issues. We texted one another to see who gets it first and discuss items in the issue at length. Wether it is a new club a shop is offering, an article or project. We just love it! Additional New Items some made a debut in Baltimore. Here are a few new or newer items that have not been posted or made a debut in Baltimore. At cash and carry shows we are able to take small quantity and sample items that we are not able to post since there is little inventory. 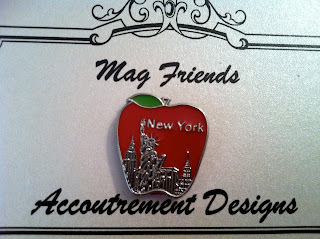 Hence there are some very lucky shops who have visited us early in the shows and picked-up magnets and/or fobs that have not and will not be posted. For example, there are some ballet, animals, baby, and other items of interest to be on the look out for your LNS. If you are interested in something in particular let your LNS know. If you are a shop and are looking for something in particular contact us.